Um, would you believe that the US intelligence community has been telling us the truth all of these years? I wish in this essay to show how Richard Helms first lied to the Warren Commission about the CIA and Lee Harvey Oswald. I argue that his performance, and that of other CIA officials up to the present, constituted significant obstruction of justice with respect to one of this country’s most important unsolved murder cases. 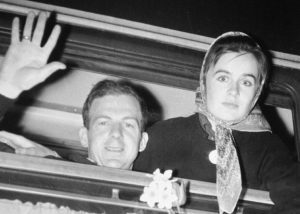 Furthermore, we can deduce from the carefully contrived wording of Helms’s lies what the CIA most needed to hide: namely, that the CIA had recently launched a covert operation involving the name of Lee Harvey Oswald (and perhaps Oswald himself), only five weeks before President Kennedy was killed. That operation—either in itself, or because it was somehow exploited by others—would appear to have become a supportive part of the assassination plot. It seems almost certain moreover that the “Oswald operation” became the focal point of the ensuing CIA cover-up, and of Helms’s perjury. As I relate in my book Dallas ’63: The First Revolt of the Deep State Against the White House, there was culpable lying and cover-up from many others in high places, including individuals in the FBI, the Secret Service, ONI, and probably still more military intelligence agencies. For example, the FBI first reported truthfully to both LBJ and the Secret Service on November 23 that a recording of someone calling himself “Lee Oswald” in Mexico City had been listened to by FBI agents in Dallas, who were “of the opinion that [the man in Mexico] was not Lee Harvey Oswald”. Two days later Dallas FBI agents, along with the FBI Legat in Mexico City, reported falsely on November 25 that “no tapes were taken to Dallas”. Subsequently the House Select Committee on Assassinations (HSCA) used this false report, compounded by false and misleading logic, to conclude that there was no “basis for concluding that there had been an Oswald imposter”. We should not conclude from the change in the FBI’s story about the tapes that either it, or still less the HSCA, was involved in the Kennedy assassination. It does however seem extremely likely that further investigation of the Oswald imposter in Mexico City would have, one way or another, have led to exposure of the CIA’s Oswald operation exposed in this essay. The CIA and FBI were not alone in their post-assassination falsification of facts about Oswald. At one point even the Mexican government participated in this high-level cover-up: It supplied when needed a falsified bus manifest and later a falsified version of its statement taken from Cuban Consulate official Silvia Durán. Without doubt the post-assassination cover-up of what happened was high-level, and widespread. But the CIA lies differ from those of other agencies in two important respects. First, the CIA was lying about Oswald before the assassination, as well as after. Specifically the CIA lied about Oswald on October 10, 1963, in two important and lengthy outgoing cables, DIR 74673 and 74830, about which I shall say much more. Second, the CIA lies have also continued over time, and can be construed as an on-going obstruction of justice. There was a lot concealed by this sentence. To begin with, the CIA did not have just one “official dossier” on Oswald but at least two. Helms was referring to the so-called 201 Counterintelligence file on Oswald. But there was at least one other official Oswald file, in the Office of Security. In addition we know of a so-called “soft file” on Oswald maintained in the Soviet Russia division of the CIA’s Department of Plans, and there may have been more. Much more importantly, what Helms gave the Commission was far from “an exact reproduction” of the actual Counterintelligence Oswald file. 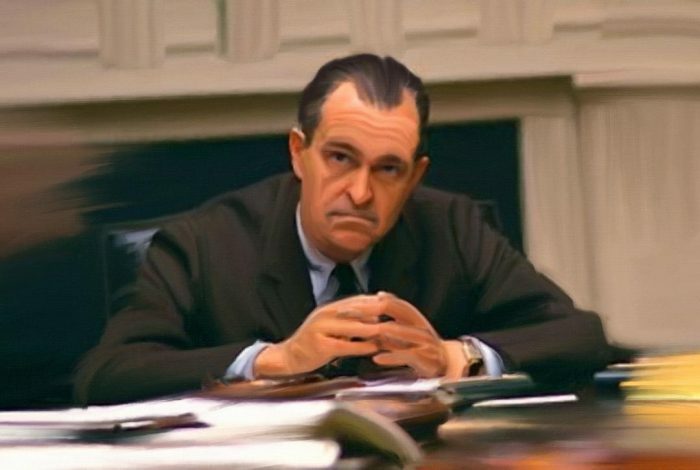 Instead he transmitted a radically curtailed version of it in a new file of March 1964 (XAAZ 22592), which the CIA much later acknowledged was a file “prepared [the CIA’s word] for the Warren Commission.” The word “prepared” is important. Like ONI, and almost certainly the FBI, Helms and the CIA did not deliver “an exact reproduction” of an original Oswald file, but of a file that had been belatedly “prepared” in March for others to see. (Helms’s memo described the January 1964 memo in the “prepared” file as covering “all substantive developments affecting CIA in the matter of Lee Harvey OSWALD from 9 October to 22 November 1963.” We shall have more to say about this contorted legal language below, when we come to discuss Helms’s perjury. The news in this cable was, if true, important and indeed explosive information. Kostikov was a known KGB agent, and the FBI believed he was also an assassination agent. True or false, the news would become even more sensitive after the Kennedy assassination was blamed on Oswald, setting off what I have called the “Phase One” story that the KGB night have been responsible for the president’s murder. It is now firmly established that this Phase One story (later replaced by the more innocuous Phase Two story that the president was killed by a lone nut) was the story used by Johnson to persuade Chief Justice Ear Warren and others to serve on the Warren Commission. CIA headquarters, in response to this report, sent out two cables on October 10, which transmitted more information about Oswald that was in places both false and mutually contradictory. 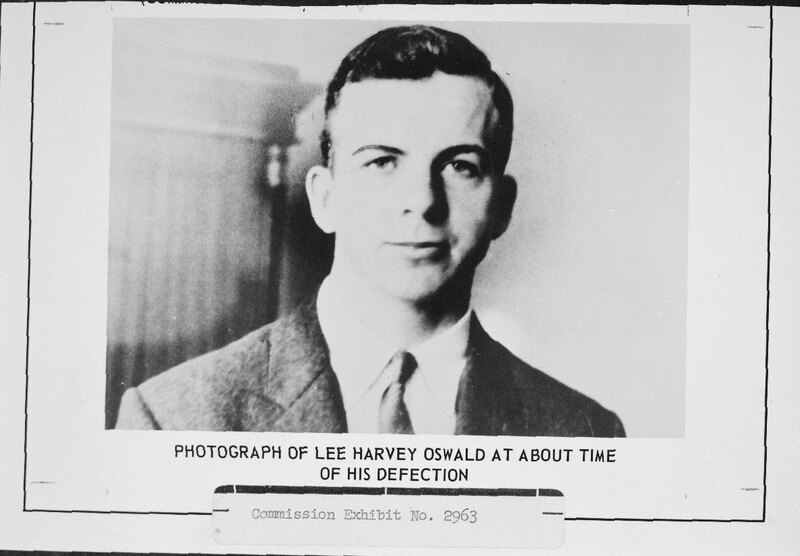 The cable to CIA Mexico began with the claim “Lee Oswald who called Sovemb 1 Oct probably identical Lee Henry Oswald… born 18 Oct 1939,” even though the authors of the cable knew very well the real name of the man born in 1939 was Lee Harvey Oswald; “Lee Henry Oswald” was a name invented in 1960 by one of the cable’s authors and used only in some CIA records. This claim that CIA last heard of Oswald when he was still in Russia was not just absurdly false, it was a lie. The CIA had received many FBI reports since his return, and we know from their CIA Routing Sheets that some of those signing off on the October 10 cable had seen these reports. Just two weeks before the cable, the CIA had received an FBI report of September 24 on Oswald’s arrest in New Orleans; and the Routing Sheet for that report shows that two of the CIA officers who signed off on the cable (John Whitten and Jane Roman) had read it. One explanation for these pre-assassination falsehoods is relatively clear: the cables were part of a counterintelligence operation. This was confirmed by the release of the MEXI 6453 cable in 1993 with its “action indicator,” LCIMPROVE, no longer redacted. An LCIMPROVE operation, the CIA later explained to the House Committee on Assassinations, referred to “Counter Espionage involving Soviet intelligence services (worldwide)”, LCIMPROVE operations had targeted Soviet officials in Oswald’s orbit since at least 1959, when one target was the Soviet consul in Finland (Gregory Golub) who issued Oswald a visa to enter the Soviet Union. Another LCIMPROVE target in 1963 was a Soviet Embassy companion of Valeriy Kostikov, who was himself a target of a CIA recruitment operation (“REDCAP”). Another sign that the cables were part of an operation is that the October 10 reply to Mexico was authenticated by William Hood, the Chief of Operations for the CIA’s Western Hemisphere Division. In other words, a lie on October 10 in a cable about Oswald was not necessarily culpable, merely evidence of a counterintelligence operation. As I have written in Dallas ’63, falsified copies of documents about Oswald, notably from the State Department, had been used as part of a mole hunt by CI Chief James Angleton from the time of Oswald’s 1959 “defection” to Russia. However the CIA cables about Oswald in October 1963 were unprecedented: the first time that the CIA initiated false information about Oswald and shared it with other agencies. All of this may have been authorized as part of a counterintelligence operation. But after the assassination Helms’s concealment of the existence of this operation from the Warren Commission was a different matter. AR 250 (Dallas FBI agents); Lopez Report, 12 (519) (Legat). The Legat cable is reproduced in NARA 157-10014-19168, 8, but is mostly illegible. AR 250: “The committee determined that CIA headquarters never received a recording of Oswald’s voice. The Committee concluded, therefore [sic], that the information [that the two voices had been compared and found to be different] was mistaken and did not provide a basis for concluding that there had been an Oswald imposter.” But it was the Dallas FBI, not the CIA, who listened to the recording, which in any case was precisely not “a recording of [Lee Harvey] Oswald’s voice.“ The HSCA Report also said that “at 7:23 p.m. (CST) on November 23, `953, Dallas Special Agent-in-Charge Shanklin advised Director Hoover that only a report of this conversation was available, not an actual tape recording” (AR 250). In fact Shanklin’s cable read, “the actual tape from which this transcript was made has been erased” (Lopez Report, 12 (519). Shanklin’s claim was based on an FBI cable to him from Mexico City saying “CIA has advised that these tapes have been erased” (FBI Cable of November 23 from Eldon Rudd to SAC, Dallas; FBI file MX 105-3702-12, NARA #124-10230-10430). This false claim by the CIA was reversed on November 24; see Scott, Dallas ’63, 25. Peter Dale Scott, Deep Politics and the Death of JFK (Berkeley: University of California Press, 1998), 95-96, citing 24 WH 673, 682; 25 WH 736 (bus manifest); Peter Dale Scott, Oswald, Mexico, and Deep Politics (New York: Skyhorse, 2013), 118-21 (Durán statement). Memo of 4 September “1982” [i.e. 1992] for NARA Reviewers, “Oswald 201 File, Pre-Assassination File,” 201-289248, p. 211, http://www.maryferrell.org/showDoc.html?docId=95567&search=%22Oswald_201+File%2C+Pre-Assassination+File%22#relPageId=2&tab=page. For the ONI file prepared for Assistant Secretary of Defense McNaughton, see Peter Dale Scott, Dallas ’63: The First Deep State Revolt Against the White House, 83-84. The FBI HQ file on Oswald deposited in the National Archive, 105-82555, appears to have been falsified: what is now included as the first recorded serial, 105-82555-1, is apparently a substitute for the original first recorded serial; for the document, a 1959 news story from the Corpus Christ Times about Oswald’s defection, is clearly stamped “NOT RECORDED”. These cables, together with a CIA Mexico memo of October 16, 1963, are now in the National Archives (and MFF website) as records 104-10015-10047 through 104-10015-10053. “Russ Holmes Work File,” NARA # 104-10406-10009, 7. Memo of 4 September “1982” [i.e. 1992] for NARA Reviewers, “Oswald 201 File, Pre-Assassination File,” 201-289248, p. 211. The prepared file that became CD 692 with Helms’s memo of March 1964 was XAAZ 22595 (NARA # 1993.07.20.15:16:21:930270), not “22592” as reported in the 1982 CIA memo. The January 1964 summary (CD 347) was XAAZ 22594 (“A Collection of Cables,” CIA, NARA #104-10422-10021, p, 12/13). XAAZ 22593 concerned the “unidentified individual” who may or may not have been the person who identified himself as “Lee Oswald” in a phone call to the Soviet Embassy (CIA Draft Document, NARA # 104-10213-10022, p. 38). XAAZ 22593 is not on the MFF website. MEXI 6453 of 9 Nov 1963 to DIR, NARA #104-10015-10047. DIR 74830 of 10 Oct 1963 to Mexico City, NARA #104-10015-10048. DIR 74673 of 10 Nov 1963 to State, FBI and Navy, Subject: Lee Henry Oswald, NARA #104-10015-10052. CIA Routing and Record Sheet for DBA 52355, NARA #104-10015-10046. Jefferson Morley, “What Jane Roman Said; Part 3: The Interview,” http://mcadams.posc.mu.edu/morley3.htm\; John Newman, Oswald and the CIA (New York: Carroll & Graf, 1995), 405. “LIST OF NAMES RE KENNEDY ASSASSINATION INVESTIGATION,” NARA #104-10061-10115, 23 “Counter Espionage involving Soviet intelligence services (worldwide”), 23; cf. 22. Cf. Bill Simpich, “The JFK Case; the Office that Spied on its Own Spies,” http://www.opednews.com/articles/1/THE-JFK-CASE–THE-OFFICE-by-Bill-Simpich-100310-266.html. Bill Simpich, The JFK Case: The Twelve Who Built the Oswald Legend, Part Two: An Instant Visa Gets the Marine into Moscow,” http://www.opednews.com/articles/THE-JFK-CASE–THE-TWELVE-by-Bill-Simpich-100830-157.htmll. Cf. e.g. NARA #104-10172-10294, CIA Dispatch of 28 August 1959, REDCAP/LCIMPROVE, “Procuring of Female Companionship for Grigoriy Ye. Golub,”. E.g. NARA 104-10162-10316, Dispatch of 27 September 1963 from COS Mexico to Chief WH, REDCAP KOSTIKOV, HMMA-22179. September 27, the date of this dispatch, is the day “Lee Oswald” is reported to have entered the Soviet Embassy and Cuban Consulate. DIR 74830 to MEXI of 10 October 1963; NARA #104-10015-10048,.